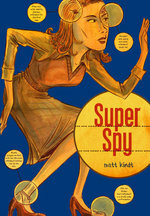 The HIT graphic novel Super Spy "introduced" an entire audience to the artistic prowess and amazing storytelling and design skills of comics veteran Matt Kindt. If you haven't picked up Super Spy, you better do so before we run out. ... And then you're gonna want to check out all the amazing graphic novels he did before: 2 Sisters, Pistolwhip, Pistolwhip: The Yellow Menace, and Mephisto. Matt Kindt produced a limited run of signed and numbered (150), silk-screened posters for 2 Sisters. And they came out beautiful. -- Just a handful left! 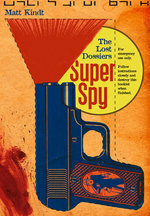 Also available with the new printing of Super Spy, a limited run of hardcovers. A Top Shelf web exclusive, so grab one here.